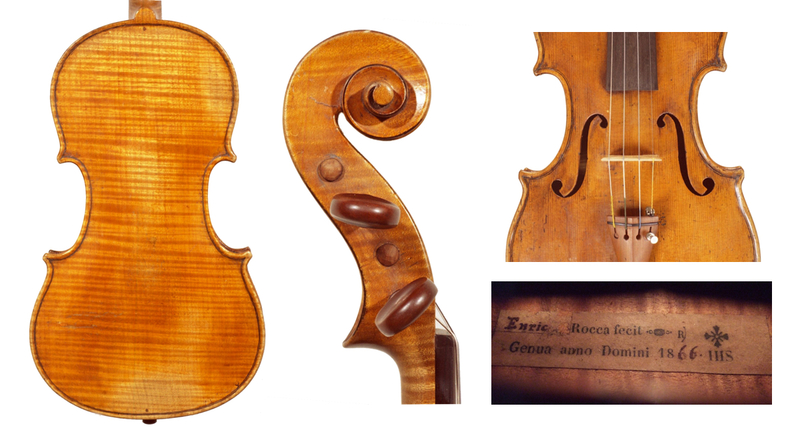 Enrico Rocca was the son of Giuseppe Antonio (1807–1865), one of the greatest violin makers of the 19th century. He himself ranks among the finest modern Italian violin makers. Yet both Roccas began their working life in fields other than the profession that would eventually bring them fame but, alas, not fortune. Giuseppe was originally a pasticciere – a baker and pasta seller – in Alba, but by the time Enrico was born in 1847 he had become a fine violin maker in Turin, having worked for Giovanni Francesco Pressenda. Although it would have been logical for Enrico to follow his father into violin making from a young age, his career was delayed due to his father’s turbulent life and sudden death. 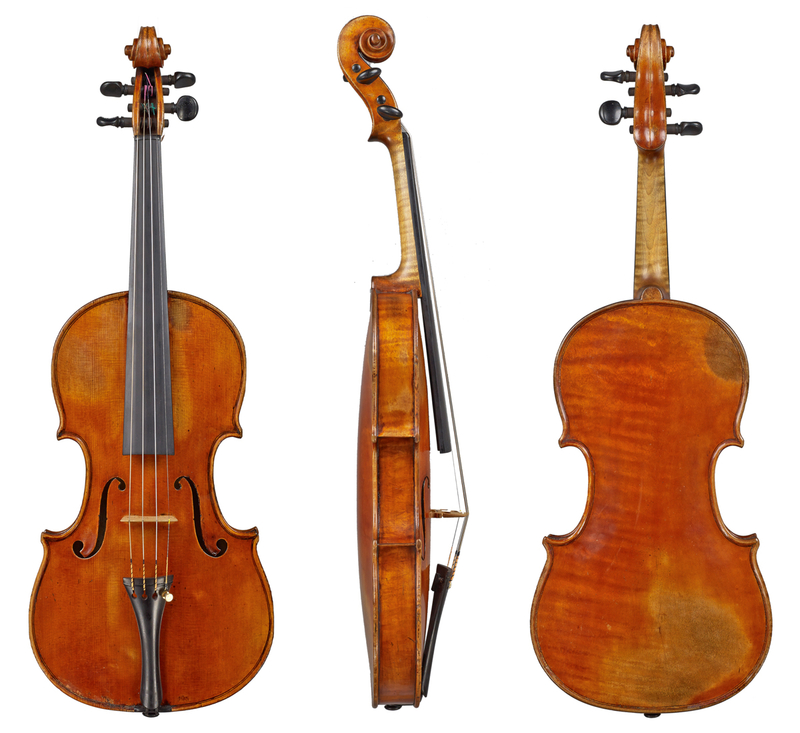 The second half of the 19th century was perhaps the poorest period in the history of Italian violin making, with few makers able to sustain a living exclusively through their profession. One of the reasons behind their plight was the steady ascent of the Parisian school during the early 19th century, with dozens of fine craftsmen including J.B. Vuillaume, as well as members of the Gand, Bernardel, Silvestre and Chanot families, producing beautiful instruments. The French capital had gradually taken over Italy’s position as the ‘mecca of the violin’, with the emergence of its fine school of violin playing and composition, led by Viotti and his pupils such as Rode, Baillot and Kreutzer. At the same time the aesthetics of the Lupot and Vuillaume schools began to outshine those of their Italian contemporaries in the context of the rich musical environment of French Romanticism. To make matters more difficult for the Italians, this period coincided with the disruption and uncertainty of the Italian Unification (Risorgimento), followed by further unrest caused by the Wars of Independence from the Austrian Empire. Giuseppe Rocca’s difficulties began while he was still in his 20s. Surely no other violin maker in history lost as many wives as he did: he married five women, of whom four died young. His first wife died in 1834, leaving him with a two-year-old daughter to look after. A few years later he moved from Alba to nearby Turin where he initially worked for Pressenda. While there, Giuseppe quickly incurred serious debts that, in spite of his assiduous labor, both for Pressenda and from around 1838 also for himself, left him in financial turmoil for much of his life. By 1842 he had lost his second wife and in 1850 his third, Giuseppina Quarelli, who was Enrico’s mother. And so the three-year-old Enrico with his two elder brothers came under the care of his mother’s family. 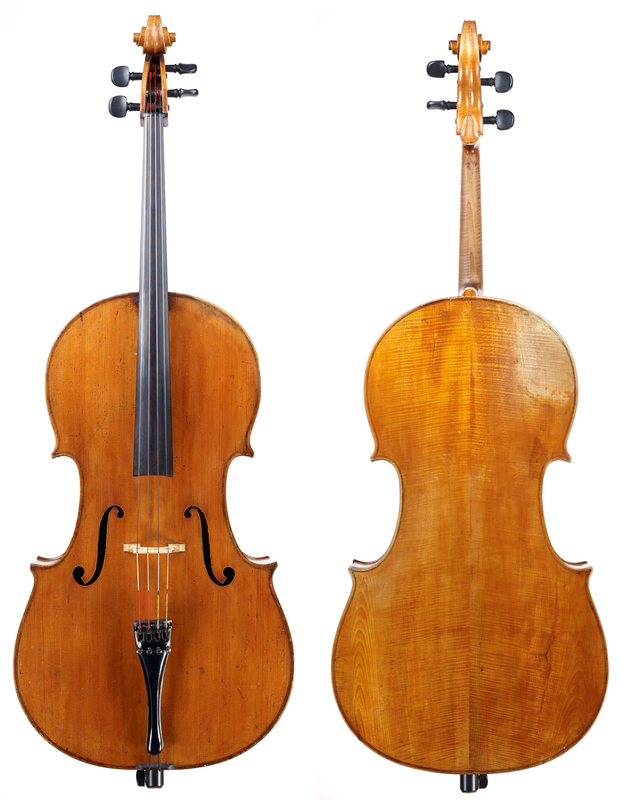 Giuseppe’s work was not greatly appreciated in Turin and his violins were worth much less than those of Pressenda (one inventory from 1846 valued instruments by Pressenda and Rocca at 50 and 20 lire respectively), although he was in fact responsible for a fair share of Pressenda’s instruments for close to 20 years. Pressenda’s own finances were not rosy either, and as his business began losing momentum, that of the descendants of G.B. Guadagnini prospered, probably undermining Rocca’s position further. However, an opportunity for a violin maker of Rocca’s caliber arose in Genoa, with the departure of that city’s most established violin maker, Nicolo Bianchi (1804–1880) in the early 1840s. Giuseppe married Emilia Dodero, who was Genoese, in 1851 and the Roccas soon began living primarily in Genoa though the young Enrico remained in Turin with his aunt and uncle. Rocca continued working in both cities until 1862, when the entire family settled permanently in Genoa following the death of Emilia. In 1863 Giuseppe, aged 56, married yet again, this time to an 18-year-old girl whom Enrico later blamed for his father’s demise. Giuseppe’s unsettled professional and financial life, mixed with personal calamities, appear to have caused an alcohol dependency that would soon lead to his death. In the meantime the young and talented Enrico must have become his assistant, quickly absorbing the knowledge that would have a great bearing on his own work many years later. But any hopes of Enrico continuing to dedicate himself to the craft were suddenly dashed in January 1865, when Giuseppe was found drowned in the neighborhood well – the result of a drunken accident according to the police at the time, or perhaps even suicide. He was 57 years old, while Enrico was just 17. Giuseppe’s ill-fortune continued to plague Enrico for some time after his death, and he was unable to establish himself as a violin maker in Genoa for at least the next 15 years. Bianchi had returned to Genoa in 1868 and was then training another fellow Piedmontese, Eugenio Praga (1847–1901), who later took over Bianchi’s position as the town’s premier restorer and violin maker. Meanwhile other lesser-known makers, such as Ludovico Rastelli (1801–1878), Erminio Montefiori (1841–1904) and Antonio Pellerani, also worked in the town. In such an atmosphere, Enrico was clearly unable to capitalize on Giuseppe’s former reputation. With great talent but no funds, and still in his teens, he was unable to maintain a workshop. Hence by 1865 we find him engaged in other vocations, living away from his stepmother and working as a day laborer, carpenter and boatman in Genoa’s dockyards. Enrico married Emilia Frixione in the early 1870s and the couple had two children in 1873 and 1874. He continued supporting his family as a carpenter until the late 1870s, when his fortunes gradually began to change. In around 1877 Bianchi left Genoa once again, moving to Nice, where he died a few years later. This was followed by the death of Rastelli in 1878. Although Praga took over Bianchi’s business, his instruments were of limited number and relatively meager quality. Fine French violin production was also weakening in Paris, after the death of Vuillaume in 1875. These events must have finally presented Enrico with an opportunity to begin violin making again, and in 1880 he opened his first premises. Rocca’s progress as violin maker was slow, as he initially began making plucked instruments, such as the six-string mandolins that were popular at the time. His labels indicate that he was the son of Giuseppe and had won various prizes at exhibitions in Italy – the first in 1881. It is likely, however, that his early successes at these exhibitions were for plucked instruments rather than violins. Genoa seemed to have become a hotspot for such instruments, with the Candi brothers arriving from Bologna in the late 1880s to partake in their production. By 1892 the Candis had opened a workshop close to Rocca, who was producing his best violin family instruments, modeled after those of his father. Rocca and Praga, both of Piedmontese origin and born in the same year, thus evolved as fine violin makers in parallel during the last decade of the 19th century, becoming the pillars of the modern Genoese school. 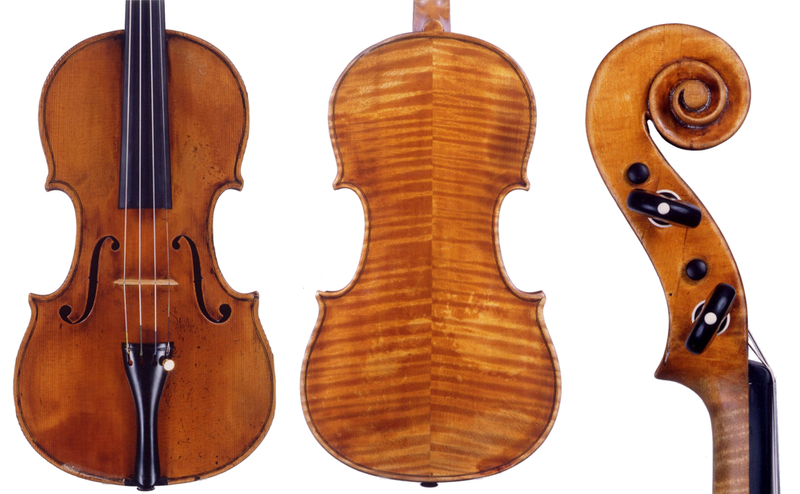 Their work, based on the golden period Stradivari and, in Praga’s case, the mature Guarneri models, is not dissimilar and Praga’s own work now improved considerably, probably as a result of some sort of exchange of ideas between the two makers. When Praga died in 1901, Rocca replaced him as Genoa’s foremost violin maker and also took over the prestigious curatorship of Paganini’s ‘del Gesù’ violin, ‘Il Canone’, held by Genoa City Council. Finally his accomplishments earned recognition and production picked up considerably. Although Praga has been cited as Rocca’s teacher, Enrico had certainly learned the fundamentals of violin making from his father. His extremely rare earliest violin models are nearly identical to Giuseppe’s final Stradivari model, that of the 1716 ‘Messiah’ violin and were likely made using his father’s left over wood, tools and even labels. 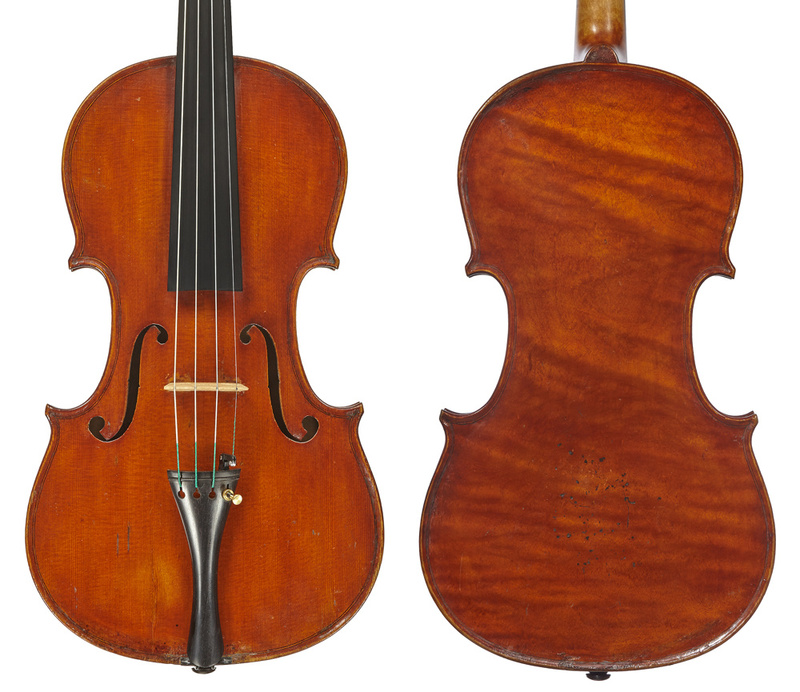 An 1866 violin, bearing an original Giuseppe Rocca label, with an added sticker ‘ENRICO’ written in pen over the printed ‘Giuseppe’ attests to this practice and may have been begun by the father but finished by the son. Despite being the son of a great Piedmontese maker, Enrico saw himself as Genoese and his identity as a maker developed as a happy fusion of the older Piedmontese traditions and Genoese characteristics established by Rocca and Praga, which were later adopted by Candi and his followers. Rocca’s hand was both masterful and quick – a trait associated with the greatest of the Italian makers. His making, like that of Giuseppe, ranges in quality, though his very best work, strong in concept and technique, dates from before 1900. His instruments from that period bear a closer affinity to the work of his father than his later instruments, and this has unfortunately led to some of his best work being attributed to the more valuable Giuseppe. From around 1890 Enrico produced well-proportioned instruments inspired by a ‘Messiah’ type model – rather flat and with slanted, widely spaced sound-holes – that are relatively carefully made. The purfling, laid within a lightly fluted channeling, is thick and skilfully controlled; it is distinguished by a pronounced white part. The rather deeply carved scrolls are highly characteristic: they are bold, heavy, round and almost throat-less; the eye is large and the outer chamfer, often blackened, is pronounced. The maple, whether locally sourced or foreign, is nearly always beautiful. The soft varnish is of attractive reddish-brown shades. These instruments are among the absolute best the 19th-century Italian school had to offer. Their rarity, coupled with such a long void in Enrico’s production following his father’s death, has led to some experts denying a professional continuity between father and son. Although Praga has been cited as Rocca’s teacher, Enrico had certainly learned the fundamentals of violin making from his father. During this period Enrico made minor stylistic adjustments such as elongating and often further pointing his already rather ‘triangular’, quite elegant corners and thinning his purfling. He usually omitted certain traditional Piedmontese characteristics, such as the two locating pins on the back, and the piece of purfling below the saddle at the end button; he used a version of the ‘Turin saddle’, usually inserting the saddle below the continuous purfling. His inner linings do not go over the corner blocks, as was the case with the later Genoese makers. His heavy and protruding back buttons at times begin tending towards a more triangular shape, perhaps searching for balance with the corners. Enrico’s varnish is variable in color and texture, from a rather light brown–yellow, lightly applied and even thin at times, to a thicker, pastier and redder varnish with a fine yellow ground – something also found on the best instruments of Praga and Cesare Candi. Most of Enrico’s best-known instruments today are those made during the final decade of his life – and he worked practically until the very end, with a number of instruments known from as late as 1914 and even 1915, the year of his death, aged 68. In his last few years the instruments are less carefully made and their varnish is usually lighter both in color and texture. Some of his very late instruments certainly lack the sophistication or finesse of execution of the previous years, but even then Enrico was capable of highly convincing and recognizable examples. His materials also tend to decline and the backs are of plainer wood, sometimes of poplar or bird’s eye maple. Enrico often signed his work internally in pencil, ‘Rocca Enrico fu Giuseppe, Fece in Genova’. This inscription is generally to be found on the upper block, upside-down, as well as on the right side of the tops or on the inner backs. Some of the instruments are branded ‘E ROCCA-GENOVA’ on the interior, though occasionally one is surprised to find the GR brand of his father’s. In the earlier part of his career, Enrico made a good number of superb cellos based on the enlarged ‘forma B’ Stradivari model. Some violas of small proportion exist, but these are mostly from the later years. Some of the above biographical information regarding Giuseppe Rocca comes from a forthcoming book on this maker by Philip J. Kass.